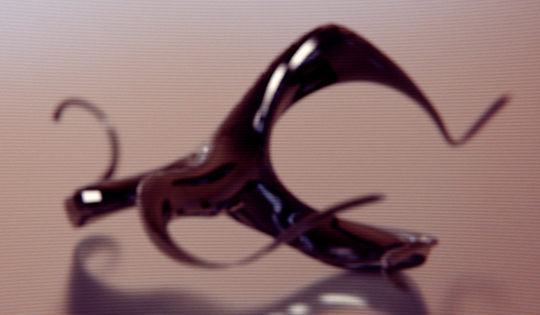 Liquid Lifeforms is a short experiment in Cinema 4D softbody dynamics. Visuals were inspired and edited to the audio track Beazt, created by disconnectuser (Alan Pring). After countless commercial productions, where the result needs to feel pretty and appealing to the viewer, we felt an urge to create something a bit more disturbing. We wanted to approach the animation in the same way we would approach a live animatronic shoot. To achieve that, Quba constructed two rigid body robots, controlled by a bunch of randomized motors and set them lose in C4D’s dynamics engine. He then wrapped the resulting animation in a softbody, latex-like skin and run a second level simulation. The process resulted in a creepy, realistic motion – part mechanical and part organic. We cut everything together in After Effects with some extra color correction and distortions. Enjoy!